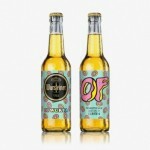 The Odd Future Donut design has emerged as a real staple of the OFWGKTA brand, having been used across everything from album artwork to apparel and now accessories. 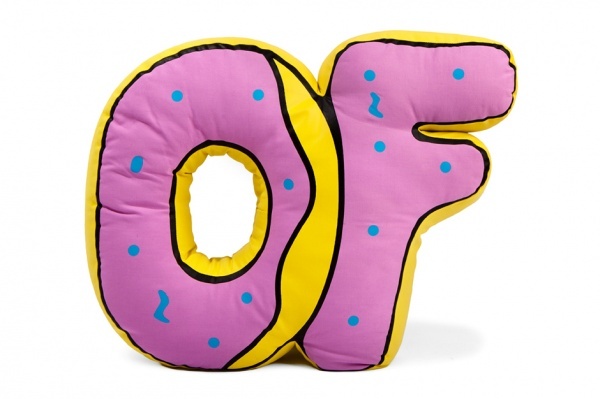 In the latest release from the Odd Future crew, an oversized plush â€œOFâ€ pillow takes center stage as a place to pass out after a night of trouble making. Alongside the bright-colored pillow an assortment of other accessories are also offered that include a OF Donut Keychain, OFWGKTA Enamel Cross Pin, a Frank Ocean Air Freshener, OF Donut Blank Key, and a duo of skate decks. Ranging in retail price from $5 USD to $100 USD, the entire accessories range is now available through the Hypsebeast online store.